This Samsung Galaxy S9 Cyber Monday camera phone deal is unbelievable – it's almost half price! Get the flagship Samsung Galaxy S9 plus 100GB data for a steal. We’ve seen some pretty good Black Friday and early Cyber Monday camera deals this year. But stop the press: Mobile Phones Direct has taken things to a whole new level with this outrageous deal on the Samsung Galaxy S9. Right now, you can take home the flagship Samsung Galaxy S9, with a massive 100GB data tariff, for a cost of just £384 over two years. Considering the RRP is £739, that's unbelievable value. You’ll have to pay £36/month for two years, but Mobile Phones Direct is offering a whopping £480 in cashback – which takes the monthly fee down to just £16/month, with no upfront costs for the handset. As our friends over on TechRadar point out, the only part to watch out for is you have to claim the cashback in five instalments over the course of the two-year contract. 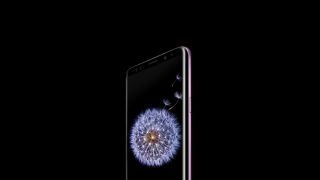 But as long as you stick a few reminders in your calendar, this utter ridiculous Cyber Monday camera phone deal will get you the stunning Samsung Galaxy S9 – plus a mega 100GB of data – for just £384. Amazing.